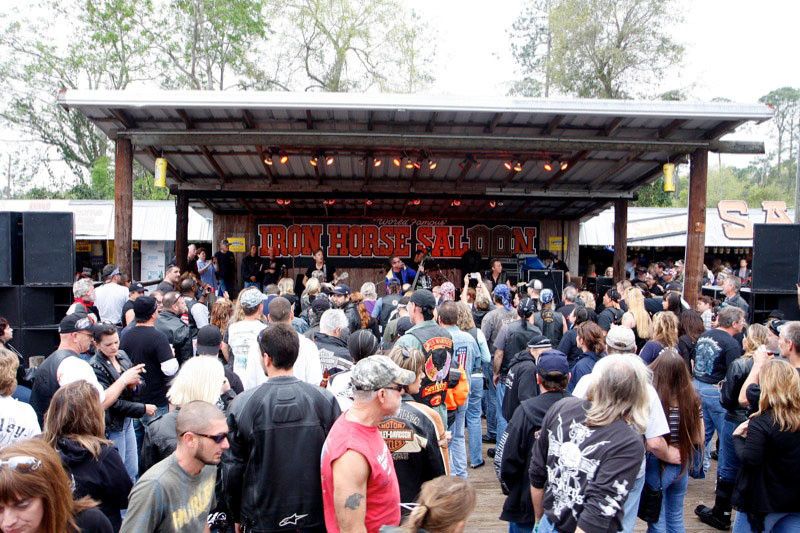 The World Famous Iron Horse Saloon was opened in 1980 and was located just off Main Street in Daytona Beach on South Grandview St. It was popular year round with the locals as well as being packed with visitors during Bike Week. Many will remember it as the bar you could drive your bike right inside. The Iron Horse stayed in Daytona until 1986 when they moved from the confines of the city to the outskirts of Ormond Beach in the county where they are today. There was a small building situated on two acres. This was a risky move since Bike Week was not a full event in this outlying area of the county. Rising to the challenge, many long work days filled with projects upon projects. The open area in the back slowly became vendor booths and outside bars with different themes. There is a bus converted into a bar with a military theme and a bar built around a tree aptly named the tree house bar. In total there are six bars spread throughout the property for customer convenience. 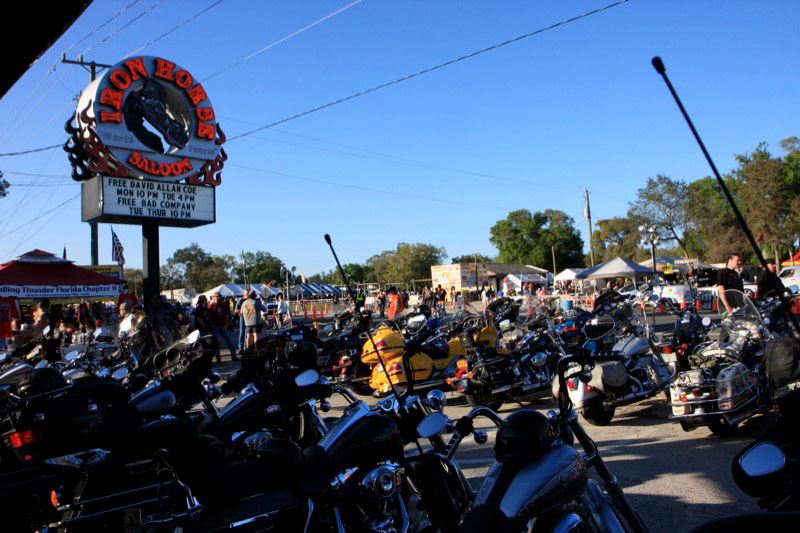 The Iron Horse brought more and more business to the area both daily and for Bike Week. Each event was better than the last and more businesses were drawn to the area. The outlying area gained in popularity giving riders more riding time in a country setting. 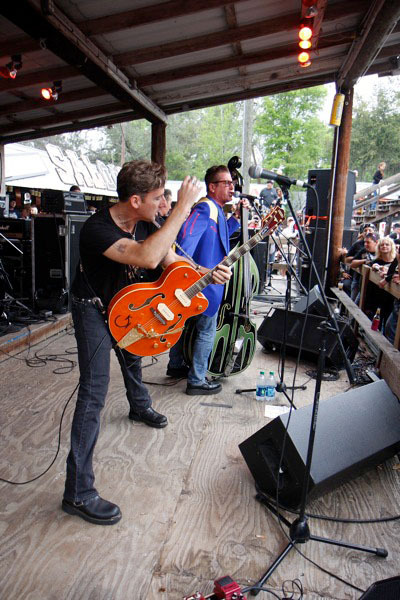 The Iron Horse has evolved over the years from that small business off Main Street with a few one color designed tee shirts and a juke box for entertainment to what it is today. Iron Horse tees and products today are famous for their unique design work and quality second to none and are ordered from all over the world. The success and popularity of the Iron Horse we believe is due to the friendly, family atmosphere it provides. The employees and vendors have been with the Iron Horse family for years and have grown right along with the business. Each year something is new and improved to bring the best possible party to the customers. 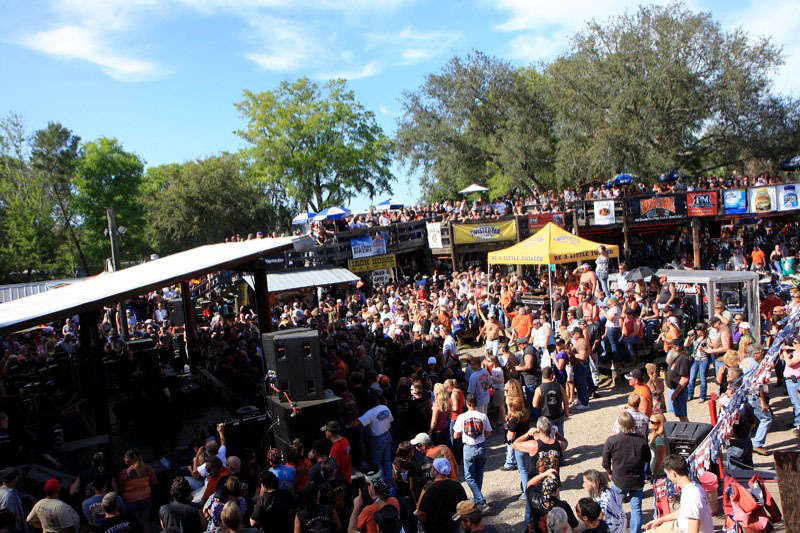 The Iron Horse is today truly a Bike Week destination!